Your strategy only works if you have the right tools. Communifire internal communications software gives you the tools to better your employee communications. Learn more below! Create an Effective Communication Strategy with Communifire. Improve collaboration throughout your company with Communifire's innovative platform. What challenges are faced daily by your employees? Is working together on projects efficient, fun, and motivating? If not, it's up to you to implement a solution that works for your business. It's time to discover how Communifire overcomes common communication obstacles. 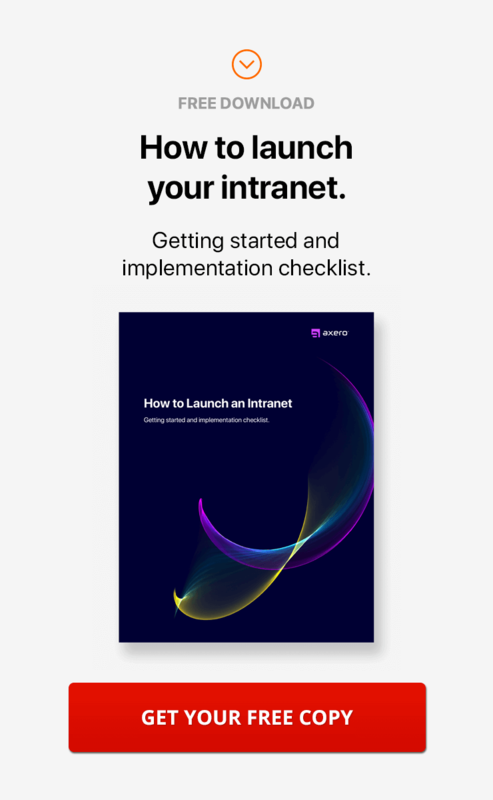 Establishing an effective internal communication strategy has never been more simple when using Communifire to manage administrative and user privileges. Between distributing company announcements, streamlining work flows, and the ability to perform group collaboration in the cloud, our internal communications software uses engaging tools to inspire team members to exceed expectations. Reduce project development barriers, eliminate duplicate tasks, and avoid the potential for unreceived messages when all communication is channeled through Communifire. Designed with familiar functions found in popular social sites, such as ratings, mentions, and Likes, our software was developed to be user friendly and customizable. The Benefits of Having an Internal Communications Strategy. Quickly and easily invite important team members or your entire organization to an event, conference, or meeting. With the ability to receive notifications, upload important documents, and leave comments, using Communifire's calendar is the easiest way to keep track of important events and share information. Create an internal publishing platform that promotes a healthy internal communication strategy while encouraging professional development. Whether encouraging employees to communicate with engaging blogs or tackling a particularly difficult subject in an article, Communifire offers a simple, secure way to publish internal content. Take your organization's pulse on a variety of issues, from overall employee satisfaction to leadership surveys, using built-in polling tools. Send surveys to everyone within your company or develop voluntary polls to give employees a voice. Easily analyze answers within Communifire. Streamline communication of policies, processes, and company history by creating custom Wiki pages. As information changes, update it instantly in the cloud for everyone to see. For users, Wiki pages offer a quick and simple reference for important information relating to a particular subject. Experiment with Wiki pages to develop client profiles, detailed event pages, and more. Transform branded internal messages by personalizing interactions through video. Whether developing a webinar or training video, using Communifire to host internal content is convenient, secure, and manageable. Use tags to segment video content or curate videos from the web to create subject-specific video libraries. Encourage employees to participate in the maintenance of an effective internal communication strategy with the ability to view the most popular and highly rated posts. Punctuate conversations with #hashtags or use @mentions to bring important people into a stream and increase engagement.